I fell victim to a shark who rolled my 401k and lump sum buyout into a Pacific Life variable annuity. I got out as soon as surrender charge was done, put what was left in Fidelity. Watch out, can you believe there’s people that call themselves advisors but are only concerned with lining there own pockets. William thanks for your comment and sorry to hear about what happened to you. Sadly I have seen what your describe all too many times. Great breakdown Roger! I actually read the same piece and am in the middle of writing my own post on it so great minds must think alike. 😉 That said, I spoke with far too many investors in my day who fell prey to shady “reps” who sold them a bill of goods only to put them into something they had no business being in all the while the rep was making nice commissions. Unfortunately that just muddies the waters for many others thinking that all advisors can’t be trusted or that they shouldn’t do a rollover. As with anything else investment related, this is just proof again of why it’s so important to do your due diligence so you do what is best for you and your situation. John thanks for the comment and I’m not at all surprised that you were inspired to write post by this article. Disturbing to say the least. I’m looking forward to reading your piece. I’m glad to see articles like the Bloomberg piece mentioned here. I saw that article as well and shared it on social media. The kind of practices mentioned in that article are exactly why I have an investment education website. That’s complete nonsense. You can be sure that the AVERAGE rollover customer ends up spending more than $600. But you can also be sure that you have control over the expenses you pay out. I recently did this exact deal for my mother, and she got the free money. She’s investing only in low cost ETFs and individual stocks with a long term buy and hold strategy. There are no ongoing fees from the brokerage account. Would they like to make more money from her? Sure. Just about every time we talk to them, they start in on a mutual fund sales pitch. We politely decline any advice, and that’s that. You are in control of an IRA. That’s true even when you give up that control voluntarily to an advisor. Every single day, you’re making the decision to give up that control. With a 401k, the company has made most of the decisions for you. Does that protect completely ignorant people? Yes, it does. My answer to that problem is a little more idealistic: Don’t stay ignorant. Educate yourself. Chris thanks for your comment and I will be sure to check out your site. As for the Bloomberg piece while there may be a few parts of the article you might disagree with on balance I thought it was a good piece exposing a huge problem in this arena. You should try to contact the author directly with your concerns. There certainly are many great options for DIY investors, but unfortunately many folks at this stage do not have the knowledge or confidence to make the right moves. Like anything in this arena investors are wise to learn as much as they can before making any moves with their retirement accounts whether on their own or via an advisor. Thank you for responding. I did go ahead and comment on the Bloomberg page as well. I don’t know if it will pass their “moderation” or not. My point is that the author did some good work in investigating these kinds of egregious practices. But then he used that information to scare investors into leaving their money in a 401k. Leaving money in a 401k is certainly better than what the investors highlighted in this story did. But I can make anything seem good when I compare it only to things that are worse. There are plenty of good options for investors who wish to take control of their investments, none of which were discussed in the article. That’s all I’m saying. Maybe the author will do a good follow up to this piece. While I can see your points, overall the message of advising retirees with 401(k) balances to wary of the abusive practices described trumps (in my opinion) the valid concerns you raise. After thinking about it more, I do agree that the overall message trumps the concerns I raised. That’s because educated investors already know the things I mentioned, or will go about finding them out. It’s only the uneducated (and maybe overly trusting) investors that need to read this article and realize the dangers that are out there. You had some sound warnings and advice in your post as well. I will try to take a look at more of your stuff when I have time. This was my first time coming across your site, that I recall. Have a great weekend! The key take away for me is to avoid brokers / broker-dealer firms at all cost and consult with a fee-only Registered Investment Advisory firm because an RIA legally has fiduciary duty to its clients to do what is in the best interest of the client and it cannot sell any investment products to its clients either. 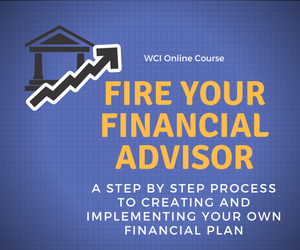 This is the best set up for both the client and the advisor. Full disclosure I own and am President of an RIA registered in Illinois. I advise those with 401(k)s to roll over their balance into an IRA so that they can control their investment options and do so as cheaply as possible (my wife’s 401(k) for example has only terrible investment options – every fund is actively managed with at least a 100bps expense ratio, the only other option besides leaving it in cash is an S&P 500 index fund that charges a high 60bps). I then tell these people I can manage their IRA for them; they can pay me, the advisor who knows more than them, to manage it or they can do it very cheaply on their own. From there, it’s their decision how to proceed. Thanks for the comment Mike. Hard to disagree with anything you said. Your wife’s plan sounds like a real stinker. First of all, I forgot to mention in my original comment great article. Yep, her 401(k) is terrible. I’m in the process of putting together a proposal for her company to transfer their plan over to Vanguard and to utilize Vanguard’s low cost index funds. The bottom line is it saves everybody money, so wish me luck. While I agree with much of the assertions in this article I feel like it’s describing a small subset of the financial service industry. Not all advisors are predators! This type of reporting will scare many retirees into paralysis and doesn’t report both side of the story. I hate to say this but an investor who is taken advantage of this way has nobody to blame but himself. Where is the movement about predatory sales practices in the car dealerships? How about lawyers? 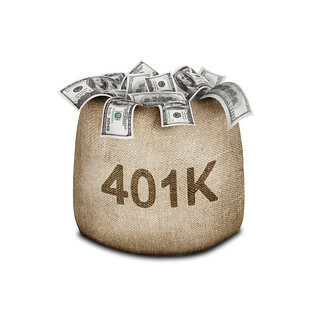 By the way, BD’s have fiduciaries that work on a fee for service basis for 401(k) plans. Mario thanks for your comment. While I agree with much of what you said, especially the part that all advisors are not predators, I can’t remotely buy “I hate to say this but an investor who is taken advantage of this way has nobody to blame but himself.” Not in any way shape of form. That’s akin to saying the elderly are to blame for those who financially abuse them or children who are sexually abused by adults are at fault. Many investors do not have a clue about their finances and sadly put their trust in the wrong person, but they certainly do not deserve to be victimized!! !